Arjen Kostelijk is a Partner at Oaklins Netherlands and Oaklins' Testing, Inspection & Certification (TIC) specialist. He has more than 15 years of corporate finance and M&A experience, with a particular focus on the TIC sector. Arjen is pleased to share an update on M&A in the sector in this third edition of Spot On. 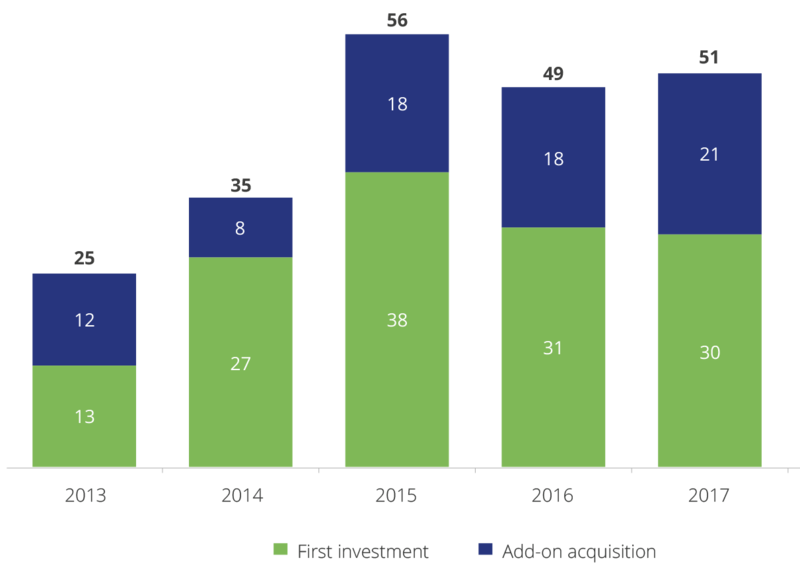 The global M&A market is still booming, thanks in part to ongoing economic prosperity, the wider availability of low-cost and flexible financial debt, and the growing presence of private equity funds seeking profitable investments. In the past five years we have seen increasing activity from private equity firms in the TIC sector, largely due to the extremely strong and resilient industry fundamentals that make this a popular sector for financial investors. TIC companies generally deliver high margins combined with relatively low capital expenditure. In addition, their financial performance is often underpinned by significant revenue visibility, coming from long-term contracts supported by increasing regulation. Another of the sector’s key attractions is the potential for multiple exit options, including secondary buy-outs, IPOs or a sale to one of the very acquisitive trade buyers, such as Eurofins (39 deals in 2017 and 2018), SGS (eight deals) or Bureau Veritas (10 deals). PSP’s and Partners Group’s investment in Cerba Healthcare (12.0x EV/EBITDA) and Bridgepoint’s acquisition of Element Materials Technology (11.3x EV/EBITDA). Private equity investors tend to aggressively look for buy-and-build projects in the mid-market in order to build sector leadership with a strategic geographic footprint. By actively pursuing buy-and-build strategies, financial investors can increase the efficiency and occupancy rates of their portfolio companies. In addition, multiple arbitrage can be achieved when growing a business above certain thresholds. As the TIC sector is still fragmented, there are ample opportunities for private equity firms to further build their TIC platforms with strategic acquisitions, thereby boosting their return on investments.